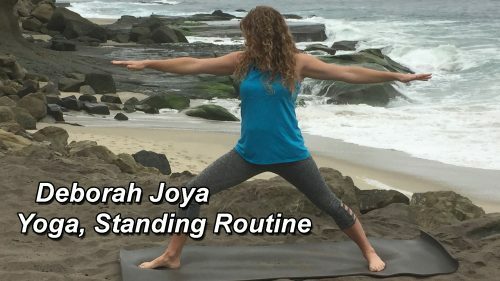 Deborah Joya specializes in helping people adapt yoga routines to maximize its effectiveness for an individual’s capability, not some unattainable pose on a magazine cover. Maybe these standing routines are just what your body ordered. We asked Dr. MacAdam what we can do between visits to the Chiropractor to maintain our flexibility and good health. His answer was a few important exercises. 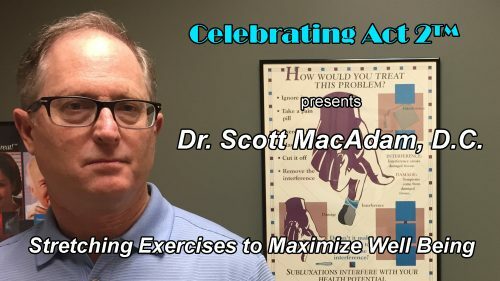 This Video shows Chiropractor Dr. Scott MacAdam, D.C., demonstrating stretching exercises to provide maximum flexibility and well being for people of all ages. What is Chiropractic? Dr. Scott MacAdam, D.C., discussing the principles of Chiropractic, its history, and why it works for tens of thousands of people who are healthier, maintain their flexibility and have more pain free lives. 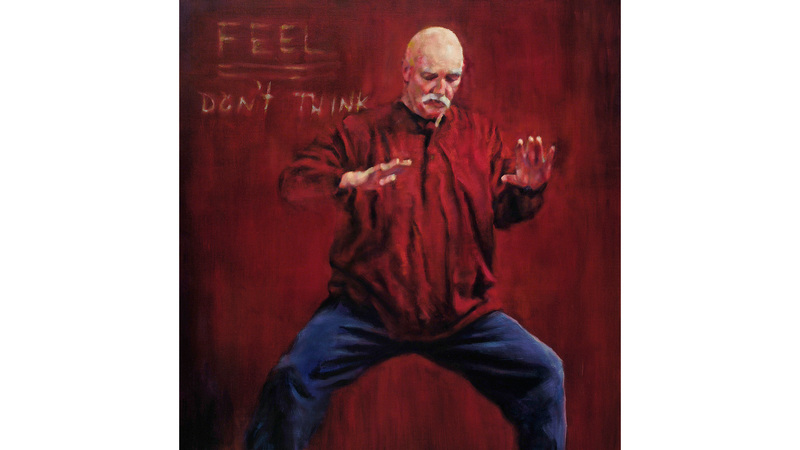 This warmup exercise is one of those practiced weekly by an adult (50-85+) class.